Mind/Body classes suited to each student with a teacher who helps you adapt to your individual level & needs. Increase your flexibility, strength, and balance while relieving stress from your life -- one class at a time. Yoga Studio is located at 525 State St - lower level - behind Subway Restaurant facing Cornwallis Dr. Gentle Yoga moves slowly through various poses allowing time to focus and adjust your body comfortably. All equipment is provided for you. Yoga mats, blankets, blocks, straps, bolsters and pillows. ​Feel free to bring your own mat if you prefer. Yin Yoga is a more meditative deep stretch class holding poses longer. Props are provided to help support your stretch and lengthen your muscles and deep connective tissues. Each class is limited to 10 students to provide for individual attention and room to move your body. Wild Chair Yoga for those needing extra support. Poses are done sitting and standing through a full range of motion. This class is a more vigorous class that flows through various poses to challenge your strength, balance, and flexibility. This class strengthens your core and challenges all your muscles while balancing on fit ball in parts of the class. 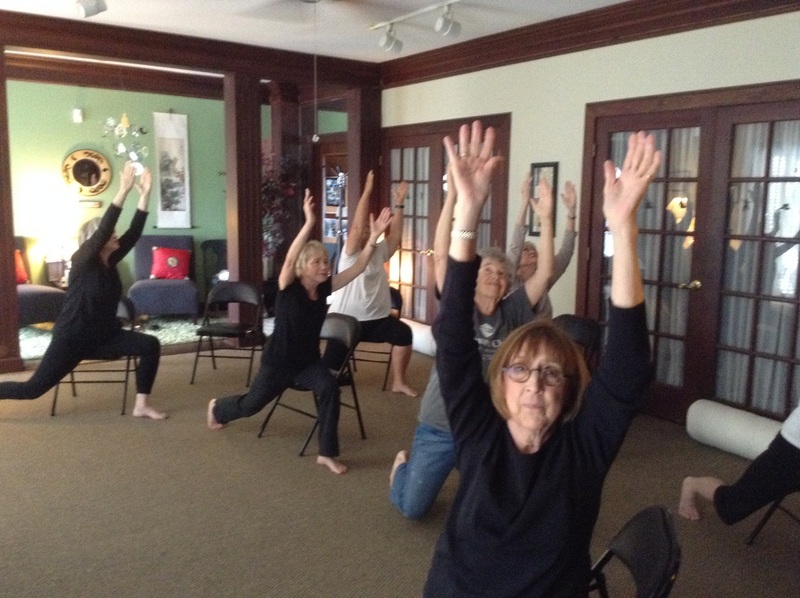 Every Gentle and Chair Yoga class ends with 10 minutes of restful relaxation to quiet the mind and reflect on your life and practice. 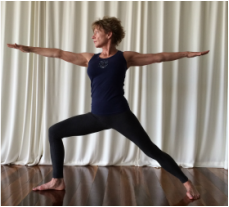 Ann Hardee has been teaching all levels of Yoga for over 25 years. She is trained and certified in various Yoga styles and has studied with leading yogis around the world. She is a certified Pilates instructor through The Physical Mind Institute. As a baby boomer herself, Ann is keenly aware of the physical limitations and needs of this generation of women & men. Keeping you flexible, strong and balanced with a functional range of motion is the goal for all her students. And ending each class with a stress reducing meditation completes the experience of Yoga 4 All.